At the end of the nineteenth century the War Department decided to build new military encampments at two places about five miles apart on Crown lands at Woolmer Forest. The land for Bordon Camp, which was approximately 1 mile long and 1/2 mile wide, was laid out in the summer of 1899 by the Highland Light Infantry under direction of Royal Engineers, as described by Rev. Laverty in his scrapbook. However, work was interrupted by the Boer War and did not proceed. Efforts were concentrated on completing the camp at Longmoor, where occupation began in 1901. 140 huts were to be erected on each site, which would give accommodation for 5,000 men. Building material was conveyed to the sites by traction engines from Bentley Station. These caused tremendous damage to the roads and produced a large number of complaints from civilians. As a result, in 1901, trials were made using various types of self-propelled lorries from Aldershot. This was to ascertain their value as a means of transporting military materials and stores, and also to find the best type of engine. The steam ones proved very successful. In November 1902, the War Office bought from Sir David Miller Barbour for 20,000 Pounds the Broxhead Warren estate of some 550 acres on which to build artillery barracks and stables. In 1903 other land was also acquired in the area at a cost of a further 18,000 Pounds. The officer responsible for the development of Bordon was Lieutenant Colonel W. S. Gordon RE, who had been seconded for a number of years to the Sudanese Army and was posted home to be in charge of the construction. 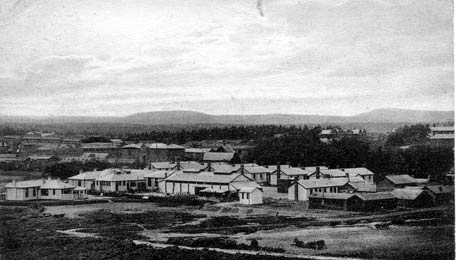 After taking up his appointment in August 1901 his first responsibility was for the building, between 1901 and 1903, of Quebec and St. Lucia barracks. This construction was on the east side of the A325. 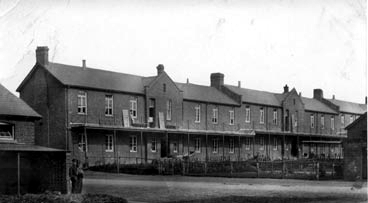 The barracks in Longmoor had been named after battles of the Boer War and the Bordon barracks were given the names of battles in North America during the Seven Years War against France (1756 - 63). The principal officers' residences were named after commanders in that campaign, Amherst and Wolfe. The Commanding Officer of each of the barracks had a house built for them of similar design. Two of these that have now been demolished are Guadaloupe and Quebec Houses, but three still remain. 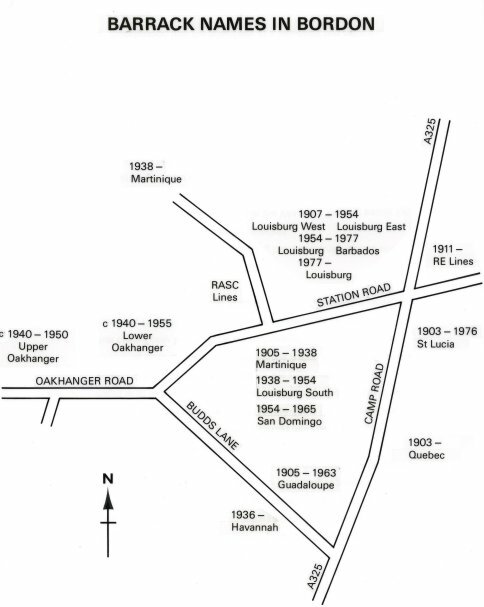 Martinique House is situated behind the old Post Office (now the Sorting Office in Camp Road), St Lucia House is now the Woodlands Inn in Lindford Road and Amhurst House serving Louisburg barracks is situated to the north of there and is the least altered. It was named after Major General Amherst who was selected to command the expedition to North America and his first success was at Louisburg in July 1758. In 1906 the first brick built accommodation was initiated. Louisburg Barracks, together with the riding school was built to house two regiments of Field Artillery, one in Louisburg East and one in Louisburg West. At the northern end of Central Road in Louisburg Barracks was a veterinary hospital with 24 loose boxes and 20 stalls, to care principally for the sick horses of the two artillery regiments. After the 1939-45 War these sick lines were occasionally used to stable horses taking part in nearby horse shows and similar events, and were demolished in 1971. 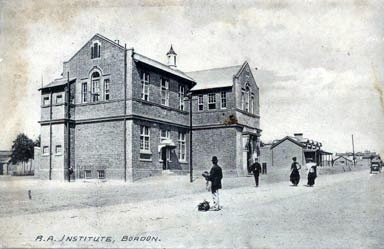 Along Station Road a soldiers Institute for the Royal Artillery in Louisburg Barracks (was the Garrison Church) and a Junior School (now The Pheonix Theater) were built. 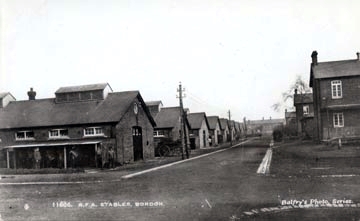 In 1907 work began on the Royal Engineers Barracks and stables on the other side of the main road to accommodate the 26 th Field Company Royal Engineers. They were opened in March1909 and admired for all the fittings, which were far in advance of anything yet introduced into the camp. They were provided with recreation rooms, a regimental institute and other suitable conveniences. Since then they have been put to many uses. The hut on the corner was used as a bar and recreation rooms for troops immediately prior to the Falklands war in 1982, and subsequently as training rooms by the British Red Cross. Other huts were used by the Garrison Play School, a Youth Group, the 1 st Bordon Garrison Scouts and a Lodge of the Royal Antediluvian Order of Buffaloes. The old stables were used as a store for building, painting and electrical contractors. The area has been known for a long time as the old R.E. lines, until recent demolition in April 2004. 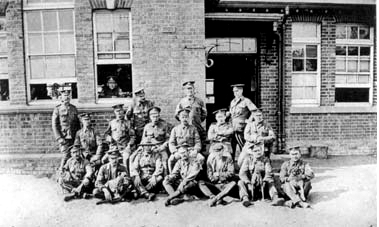 Between the wars, the Royal Army Service Corps lines (since demolished) were built between Western Road and the old Garrison Theatre in Louisburg Barracks to accommodate 9 th Company RASC, which came under the command of Officer in Charge RASC Service Companies, Clayton Barracks, Aldershot.